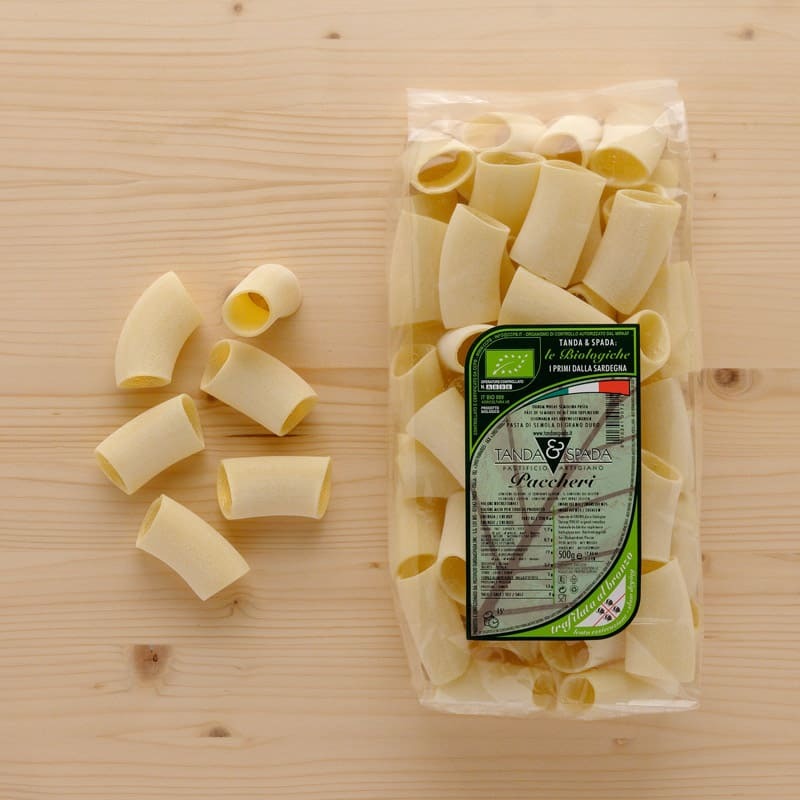 Our organic paccheri is made with the finest durum wheat semolina. We highly recommend trying this tasty recipe: Paccheri with dried porcini mushrooms, cured fennel sausage and cream of truffles. Sauté’ some onions with our premium extra virgin olive oil. Add the cured fennel sausage cut into small pieces and let it cook for one minute. Blend with half glass of cannonau wine and let it cook until the wine is absorbed. Add the mushrooms previously soaked, (but keep the water, approx. 1 x teacup) and let it cook for 1 minute. Next add half the water from the mushrooms. Add salt and pepper and let it cook for 3 or 4 minutes until the water is absorbed. Cook the organic paccheri for 12 minutes, then mix with the sauce, add pecorino badeconca and parsley to taste.